Is your roof in need of repair? Are you looking to change the cosmetic appeal of your home and increase your curb appeal? Maybe your roof has simply reached the end of its lifespan. Whether you need to tend to your roof is because of wear and tear or simply to change the look of your home or building, American Renovations is just the company for you! 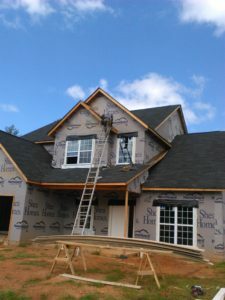 Embarking on a project as large as installing or repairing your roof seem difficult a bit of a hassle. Let our experts take a headache out of the equation!